One of my fashion woes in life has been finding the perfect pair of jeans. You see, one of my main problems is that I am on the shorter side....5'3 and 1/2 (to be exact, that half inch matters! ), and jeans always tend to be WAY too long for me. Then enter the trouble of having to take them to get them hemmed and altered. What a hassle right?! 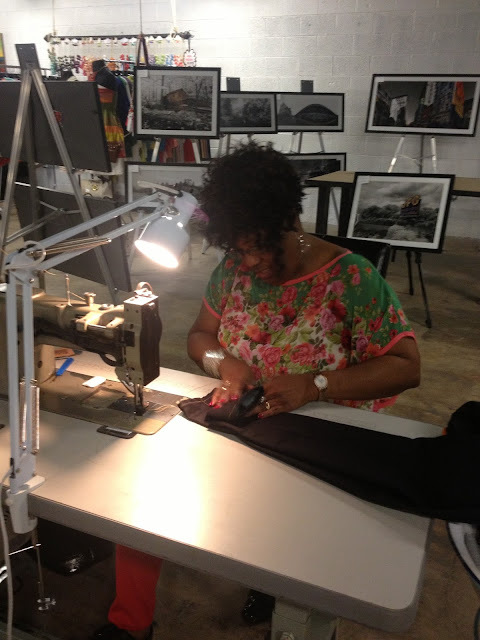 Knowing the trouble I have with jeans, you have to imagine my excitement when I learned that the fashion denim designer, Marcus Hall, of Marc Nelson Denim, who I have written blogs for in the past, was debuting a new women's line of denim. MND jeans are high quality made from raw denim, and as such they are made to not be washed for at least 6 months to let the characteristics of normal wear set in. They are also selvedge denim, which refers to the finished edge of the denim (read an article I wrote about selvedge denim HERE). AND for the cherry on top, he offers personal fittings for your jeans! That translates into a pair of jeans that will fit like a glove. 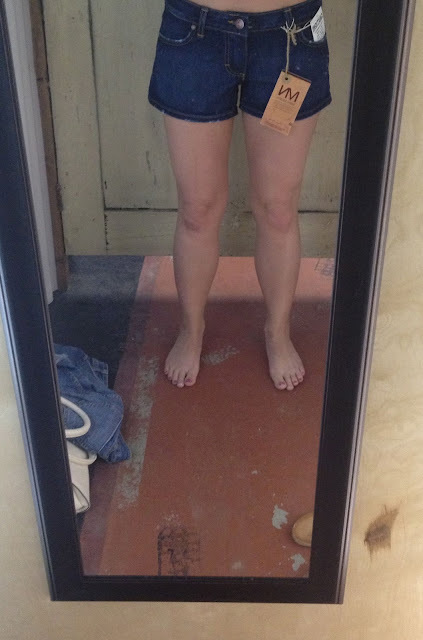 While she worked on that I continued shopping and tried on a pair of their high-quality denim shorts.....which I also LOVED. I mean every girl needs a good pair of denim shorts for the summer right?! While making final decisions on my purchases, my jeans were done! It was truly an amazing experience and it didn't take her any time to hem my jeans. I left MND with a pair of custom fit jeans and was SO excited to wear them for the block party that night (along with my MND scoop neck tank top which you can buy HERE). 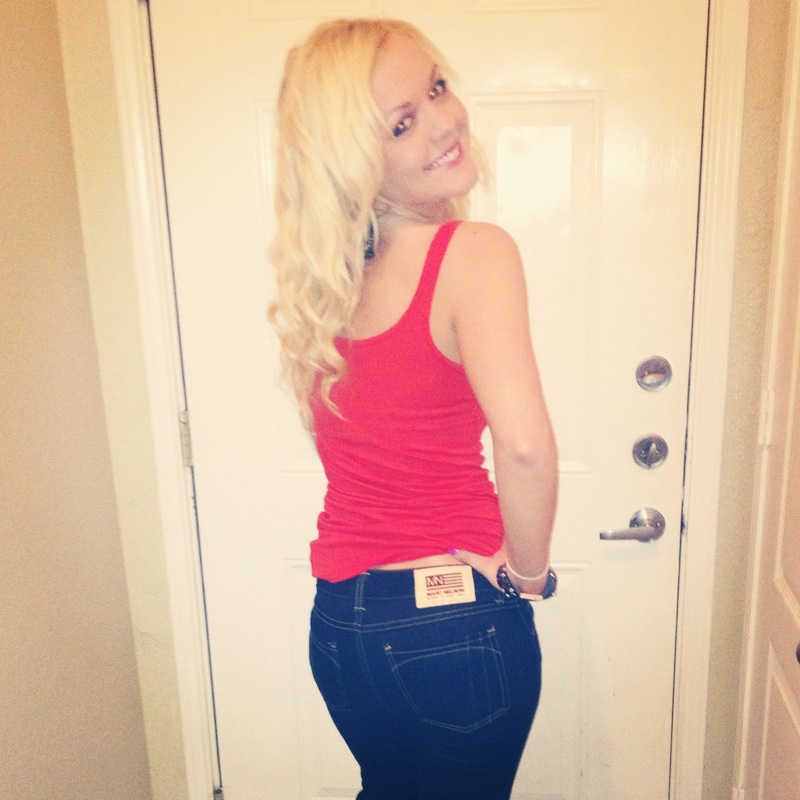 Jeans are a season-round staple in any girl's closet. You can dress them up with a pair of heels as I do below or dress them down with a cute pair of sandals. One of my favorite spring/summer outfits is a great pair of jeans with a super cute tank top...definitely can't beat it for those chilly spring days and summer nights! At the block party I was excited to pose beside my new pair of favorite jeans!!! It was overall a fabulous experience and I'm SO happy to finally say that I have a favorite pair of jeans that fit me PERFECTLY!!! Definitely make sure to check out the Marc Nelson Denim website HERE or stop by the Marc Nelson Denim warehouse if you're in the Knoxville, TN area. Girl those jeans look amazing on you! 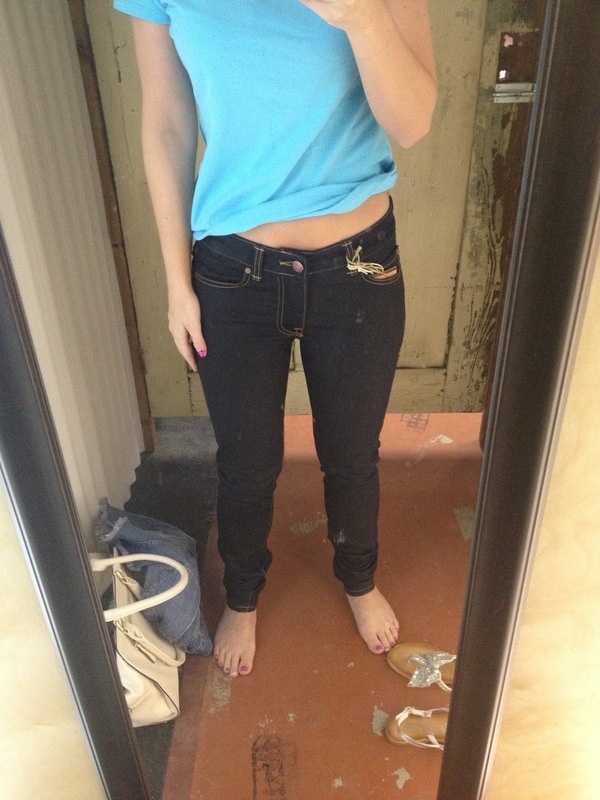 I'm always on the hunt for a great pair of jeans too and these look like the perfect fit:)! Cute! They look great on you! These jeans look fabulous on you!! they were definitely a must have!! Nail Post: Pink, Polka Dotted & Striped All Over!